Meet Tom Brophy and his feathered friend Mango. Tom is doing his part to make the world a better place in his role as director of the Zero Waste effort for the Street Faire. Make sure to say hi to Tom and Mango if you see them this summer—or sooner! Introducing Cooper, Director of Public Relations at Coopers Corner, the stylish new shop at the corner of Main and South Streets. 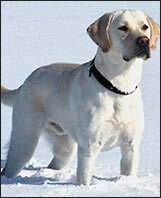 Proprietor Julie says Cooper is doing “an exemplary job.” We have no doubt. Pay them a visit! 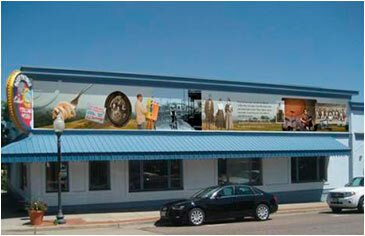 The March 7 Art Walk will be dedicated to the memory of Brianna Murtha, owner of Gifted Hands Gallery. Brianna was a beautiful spirit and will be deeply missed in our community. Our thoughts and prayers go out to her family. We can tell that spring is just around the corner. The Blue Parrot is getting spruced up with a new mural featuring a blend of historic and current images of our wonderful town, there’s more kite-flying and geese in the park, and activities are bustling on March 7, First Friday Art Walk—a sure sign that people (and birds) are done hibernating. First Friday will launch a month-long showing of featured artists Cristy Vonderlack, Anthony Grant, Annie Denison and Dale Mitchell. Meet the artists, enjoy wine and hors d’oeuvres and live music by Alfredo Muro and Emma Shubin. 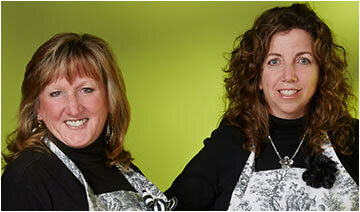 Owners Cathy and Nance are celebrating 3 years of great success, but more than that...great happiness! They are celebrating all year with great new inventory after shopping the professional shows, and fun events. They continue to support local artists as well! March Art Walk will feature Krista Rogers of ‘Lena James’ fine jewelry. Stop by, enjoy refreshments and help them kick off their yearlong celebration. InkSmith will feature work by artists Adam Doyle, Digital Media, Patric Call, mixed media on canvas and City Rat John, photography. With a name like that, you can’t miss this show. Louisville Art Association will present the Youth Spring Art Show, in collaboration with the Louisville Cultural Council and the Louisville Public Library. Opening reception is March 6 from 5:30 – 7:30 pm and will feature artist demonstrations, gift drawings and music by local youth. Don’t miss this celebration of young artists in our community. Further information at louisvilleart.org. Bella Frida will host Mexican textile collector Sheri Brautigam. This is a free event. 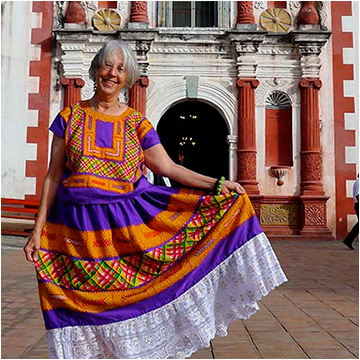 Sheri will do a slide show presentation on the diversity of traditional textiles being created in Mexico and will bring items from her travels that are for sale. This is a wonderful opportunity to learn more about the world of indigenous textile art. MaryLynn’s first House Concert was such a success, you won’t want to miss this one featuring Janine Santana with her Latin Groove: Janine on congas, Kim Stone on bass, Ricardo Pena on guitar, and Prasana Bishop on sax. Plus MaryLynn will sing a few numbers with the band. For reservations: 303.477.3730 or portraitart@mxvphoto.com MaryLynn is also offering discounts on doggie portraits throughout the month of March. Do you have your cell phone on your night stand when you sleep? What about a T.V. in your bedroom? Do you know that these bedroom electronics may be slowing your ability to lose weight? Come learn the new evidence-based research on sleep and weight. We will help you plan how to improve your sleeping habits so that you can feel more alert and kick-start your weight loss. Presented by CU Denver Area Health Education Center. Have you been thinking about starting up a business but don’t have the money it will take to get the business off the ground? Funding a new business can be a daunting task. Chris Combs, Assistant Vice President of Summit Bank & Trust will share his knowledge as a business banker to guide you through the criteria that banks look for, the documents to have ready, and how to set yourself up for success in asking for a business loan. How smart is the coyote? Come join the City of Louisville Open Space team and find out fascinating facts about our local coyote. During this presentation you will learn about the coyote’s lifestyle, characteristics, and what to do if you encounter them. The presentation will be followed with a fun and informative “Coyote Says” game. Appropriate for ages 5-12. 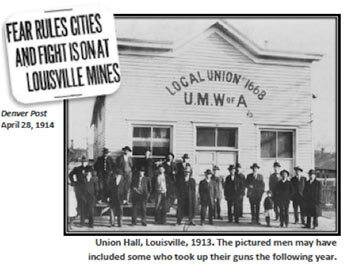 Ron Buffo, who wrote about the 100th anniversary of the Northern Coal Field War and the Battle at the Hecla Mine for the Winter 2014 Louisville Historian, will discuss the fierce April 1914 battle that strikers and strikebreakers waged at the Hecla Mine in Louisville and will place it in the context of the larger labor war that was taking place at that time. Bring your lunch and enjoy this exciting presentation.